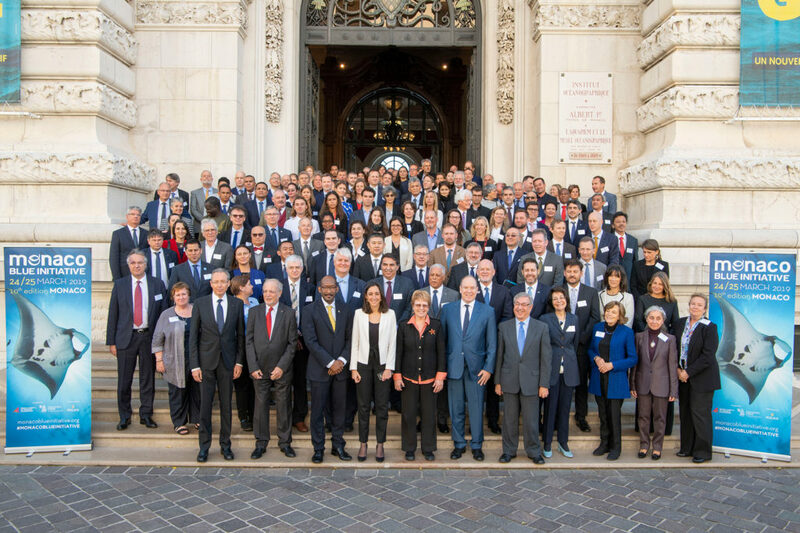 The 10th edition of the Monaco Blue Initiative (MBI) convened on Monday 25 March at the Oceanographic Institute of Monaco on the theme of Marine Protected Areas (MPA) under the presidency of HSH Prince Albert II of Monaco. The event gathered more than 140 participants representing international organisations, governments, the academia, the private sector and NGOs. Launched in 2010 upon the initiative of HSH Prince Albert II of Monaco, the MBI is a platform for discussion co-organised by the Oceanographic Institute, the Prince Albert I of Monaco Foundation and the Prince Albert II of Monaco Foundation. Its members meet annually to discuss the current and future challenges of ocean management and conservation. The 10th meeting clarified the ambition and method necessary for setting the scene for post-2020 developments, and discussed the importance of ecological and social networks for ensuring the effectiveness of MPAs as well as the links between MPAs and the economy of the oceans. How to collectively continue developing MPAs whilst ensuring their efficiency? How do coherent MPA networks contribute to protecting species? What is the next step after the evaluation of ecosystem services and how can this be integrated into blue economic development? 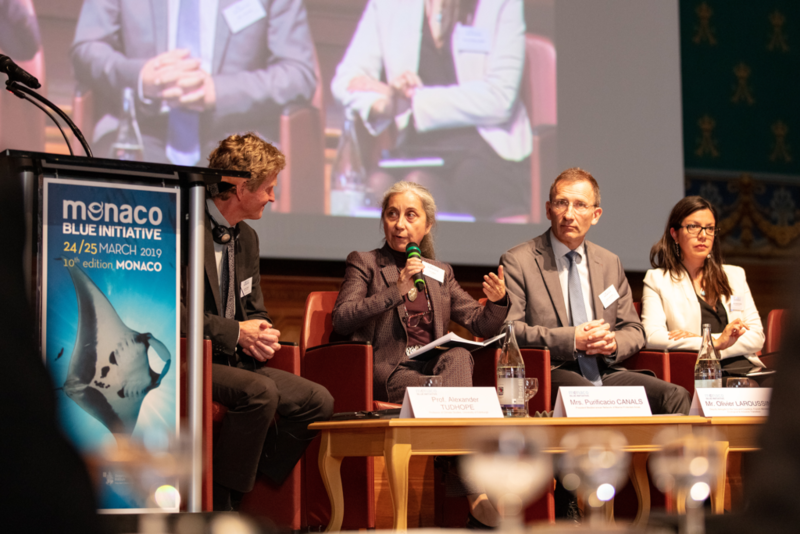 The 2019 edition of the Monaco Blue Initiative highlighted the fact that the target of 10% of effective MPAs by 2020 will not be reached because we failed on several levels and more work needs to be done on key areas. Effective management is essential. Paper parks were compared to fake news, they discredit MPAs. More partnerships need to be put in place to ensure effective management with a focus on co-management, financing, and monitoring. The role of MPAs also needs to be strengthened in relation to climate change with, in particular, the important part they play with coastal resilience. Setting up ecologically representative and connected networks of MPAs is essential to take into account the link between the coast and the open sea, to conserve migratory species and to maximise the impact of local spillover effects. MPA managers networks and community involvement are needed to support the ecological network. Puri Canals, president of MedPAN, was one of session 2 panelists. She stressed the importance of having networks of managers to improve the effectiveness of MPAs, highlighting that actions must be based on scientific and traditional knowledge, as well as on social skills. She presented MedPAN, a network of 19 countries from the Mediterranean that build capacity for MPA management. MPAs’ need to be better integrated into the wider seascape and the blue economy. MPAs are at the centre of Maritime Spatial Planning. We do not need more economy at sea but a sustainable ocean exploitation that benefits people and future generations. The negotiations on the High Seas are key. The emerging discussion about including in these negotiations the concept of common public good, as this new UN treaty is of concern for all of humankind. Finally, objectives for 2030 were discussed with 30% of the ocean under high protection, but also 100% of the ocean managed sustainably. A detailed report of the exchanges can be downloaded here. http://enb.iisd.org/download/pdf/sd/enbplus186num16e.pdf. The Monaco Ocean Week followed the Monaco Blue Initative.